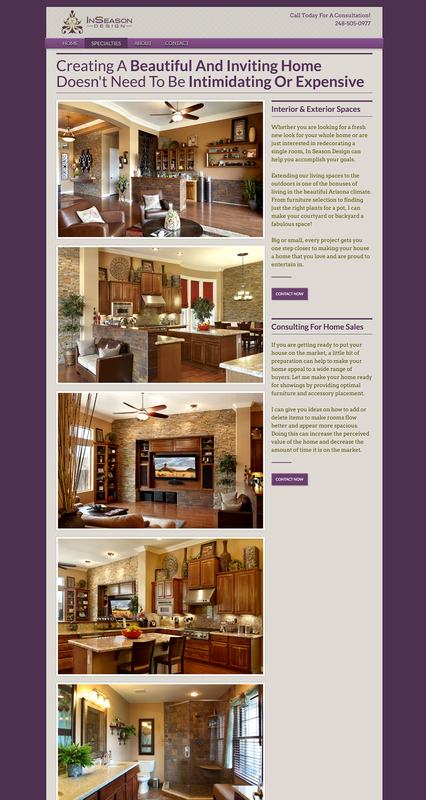 We recently launched a website for interior design and consultation firm, In Season Design. ISD is based in the Phoenix, Arizona area after having moved from Auburn Hills, Michigan. Their prior website was outdated and the owner felt the site didn’t represent the company as it should, so we were brought on for a ground-up redesign. 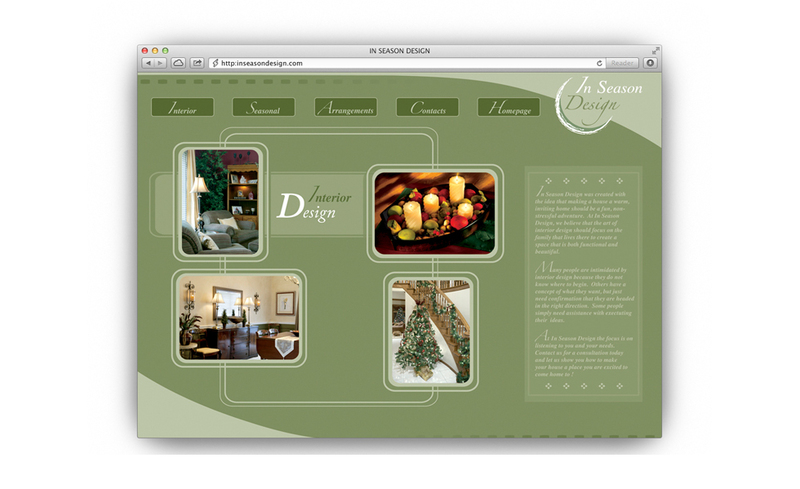 It was important to keep it simple and let In Season Design’s work speak for itself. We took some beautiful photography from past projects and incorporated it to showcase their amazing work within the site. We started by creating a new logo for the company. Previously, In Season Design's logo was a simple green and white logo with a generic font face. It didn’t properly represent this sophisticated, clean, and design friendly firm. We were given a few broad ideas about what they wanted: clean, simple, feminine (but not too much), and strong. They also wanted us to create a color palate that made use of royal purples and greens. After a few rounds of revisions the client landed on this final logo design, which set the tone for the rest of the website design. 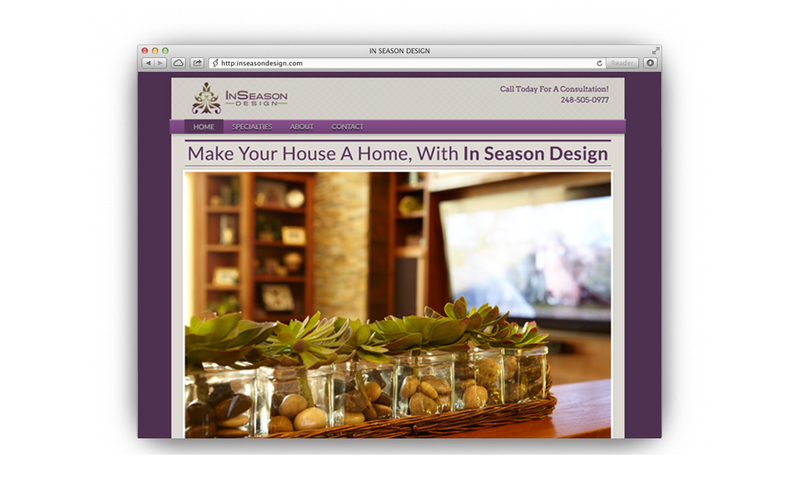 When designing the website, we kept it simple and let In Season Design’s work tell the story. We took the beautiful photography from past projects they had provided and used the site as a place to showcase their amazing work. 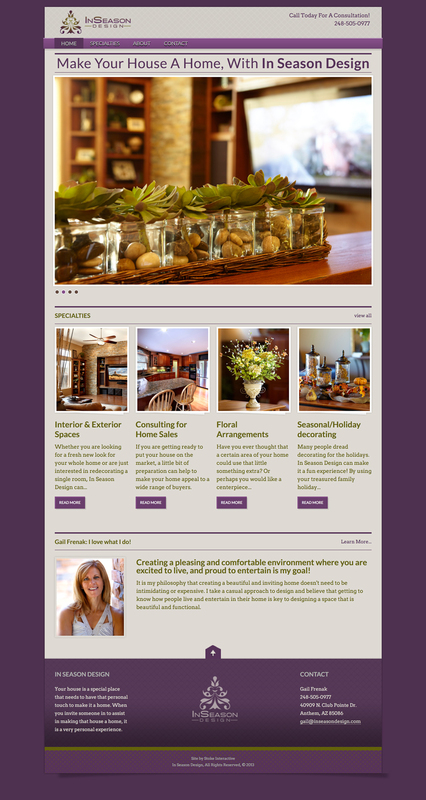 We gave the owner, Gail Frenak, an “about us” page. This gave her an opportunity to connect with her website’s visitors so they can get to know her on a more personal level.